A baby brother is on the way! Older siblings will love this board book primer on how to receive their new addition. Everyone is delighted that a baby brother is joining the family—but older siblings may be slightly unsure. Fortunately for them, this rhyming board book addresses what to expect: “You’ll have to take turns. Does he know how to play? No, he does not. He just gets in the way.” The text, accompanied by irresistible art from renowned illustrator Sam Williams, also explains how older kids can be role models to their new little brother: “He needs you to protect him. Teach him all that you know. Show him patience and love, he’s just starting to grow.” At the back of the book, there’s even designated space for older siblings to write about their new baby brother. This book is a great gift for the new big brother or big sister to be! And a great gift for parents, too! Sam Williams’s Baby Cakes has sold more than 65,000 copies! 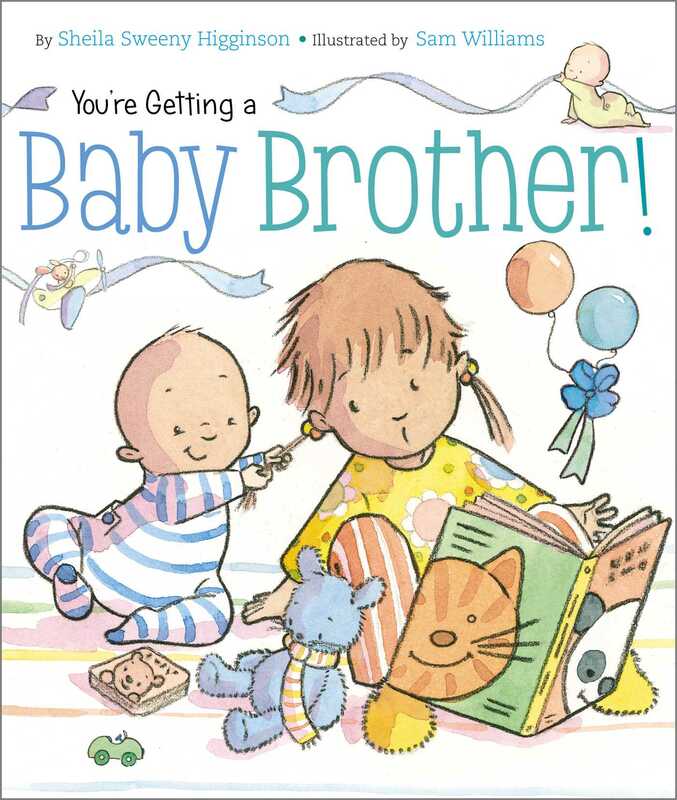 Book Cover Image (jpg): You're Getting a Baby Brother!